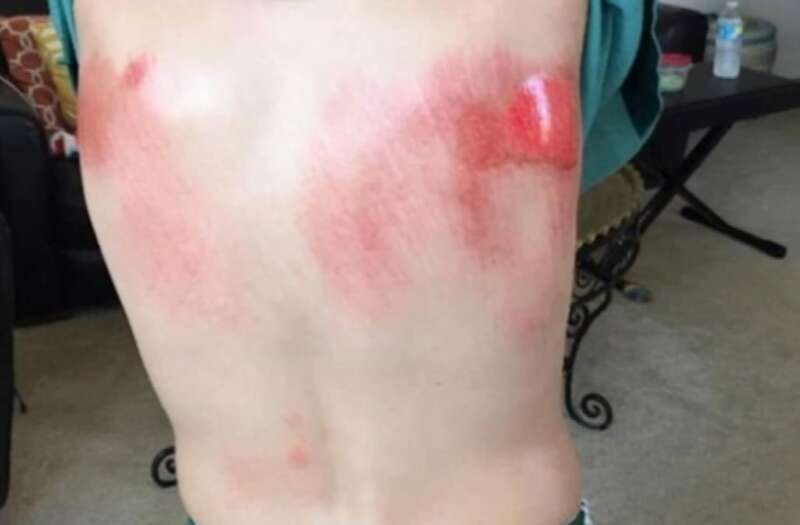 Newly revealed photos are showing the severity of the injuries a 10-year-old sustained after hydroplaning off a water slide at a California amusement park earlier this year. The photos were released just as the boy's parents filed a lawsuit against the manufacturer of the slide and the city of Dublin, Calif., which supervises the wave water park. The photos show that the sustained a harshly scratched-up and bloodied back earlier this year when he flew off the slide in May. In shocking video of the incident, the child flew off the slide and hit his back on a rail before skidding along the pavement. In addition to injuring his back, the boy also hurt his shoulder, arms and legs. The three-story Emerald Plunge ride had just opened for business that day and had only been in operation for 90 minutes before the accident. The city of Dublin, which runs the water park, also said they tried to reach an amicable settlement with the family but claim the family's lawyer refused to provide information about child's injuries.